As part of an ongoing effort to modernize and enhance the pizza delivery experience, Pizza Hut is collaborating with FedEx, specifically to explore the use of the FedEx SameDay Bot, a new autonomous delivery device aimed to revolutionize local delivery. When tested, the bot will serve as support to existing delivery staff in an effort to improve efficiency of the delivery process without compromising the quality of America’s favorite pizza. In recent years, Pizza Hut has emerged as a driver of innovation in the pizza category, consistently exploring technological advances designed to improve the overall customer experience. From introducing the first way to order pizza online in 1994, to partnering with reputable leaders in technology and delivery, Pizza Hut has remained committed to incorporating technology-based solutions to better support team members and deliver a hot, fast and reliable pizza experience for customers. 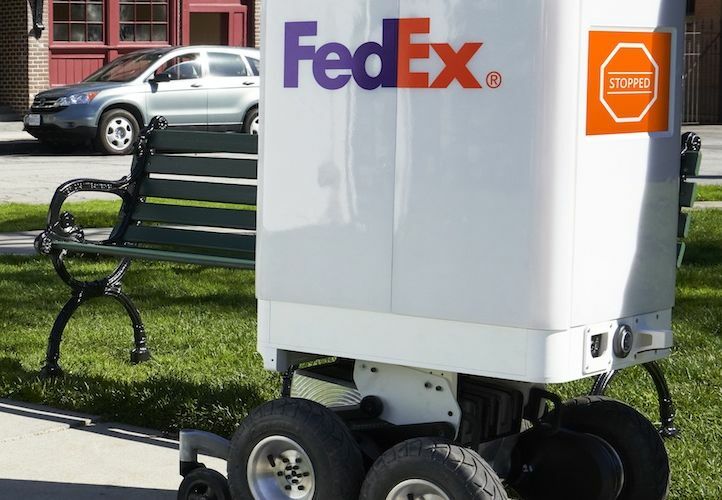 The FedEx SameDay Bot is in development by FedEx and the DEKA Research and Development Corp., and is equipped with proprietary technology that allows it to navigate unpaved surfaces, curbs, and even steps to deliver an extraordinary door-to-door delivery experience. Testing of the bot is slated to begin as soon as this summer in select markets pending final city approvals. For more information on the FedEx SameDay Bot, please visit http://FedEx.com/TheFuture.